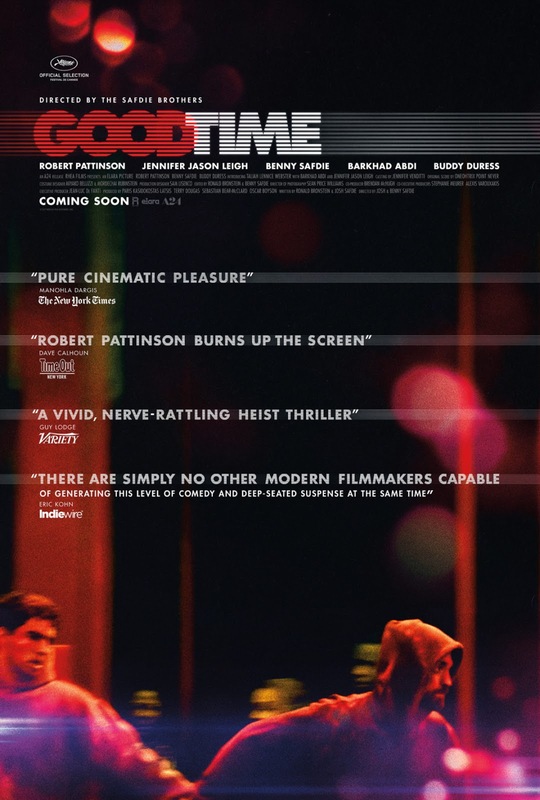 I can't remember the last time I saw a heist thriller that was as vibrant and full of life as Benny and Joshua Safdie's Good Time. It plays like a shot of adrenaline (or maybe something stronger) straight to the heart. But what makes this movie so special isn't its visceral energy or expertly crafted suspense; rather the fact that it is, at its core, a love story. Not a love story in the romantic sense, of course; no, Good Time is a story about how far we're willing to go for family, in this case, a brother. Robert Pattinson stars as Connie Nikas, a small time criminal in New York City who stages a bank robbery with his mentally handicapped brother, Nick (Benny Safdie). Nick, however, panics, and is quickly caught by police and ends up in jail on Rikers Island. Knowing that Nick isn't mentally equipped to handle incarceration in such a dangerous place, he sets out to collect the bail money to have him released. Before he can collect the full amount, Nick is hospitalized after getting into a fight with another inmate. Taking matters into his own hands, Connie decides to bust Nick out of the hospital. What follows is an intense, psychedelic race through New York's underworld, evading the cops in order to rescue his brother from a life behind bars. It's a feverish game of cat-and-mouse involving mistaken identities, unsavory characters, haunted houses, and one very valuable Sprite bottle full of acid. Everything Connie does is out of love for his brother, giving every crazed moment of the Safdie brothers' neon-lit fever dream a powerful emotional center. It's like a drug-induced paranoid hallucination, taking the audience on one wild ride through seedy New York backstreets and crime-ridden neighborhoods. But while Connie may be a criminal, Good Time never paints him as a bad person, he's just doing what he believes needs to be done. The Safdies cleverly play with the audience's sympathies, much as they did in their bracing 2015 debut, Heaven Knows What, populating their film with flawed people in increasingly dire situations. It's a near perfect blend of colorful cinematography, frenetic editing, and pulsing score; creating a grungy, rave-like aesthetic that is like nothing else we've seen on screen this year. Pattinson commands the screen, giving perhaps the finest performance of his career as a man racing against the clock (and against his own human foibles) to save the only person he really, truly cares about. It's a rollicking, raucous thriller, masterfully composed by the Safdies in garish shades of neon and stark fluorescent light. 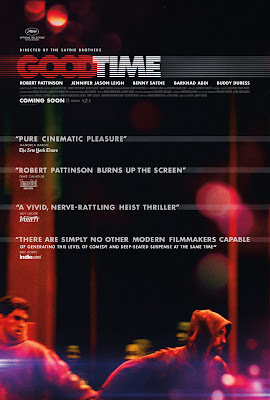 Good Time is simply great filmmaking, an electrifying high-wire act without a net that hits hard, hits fast, and never lets up.